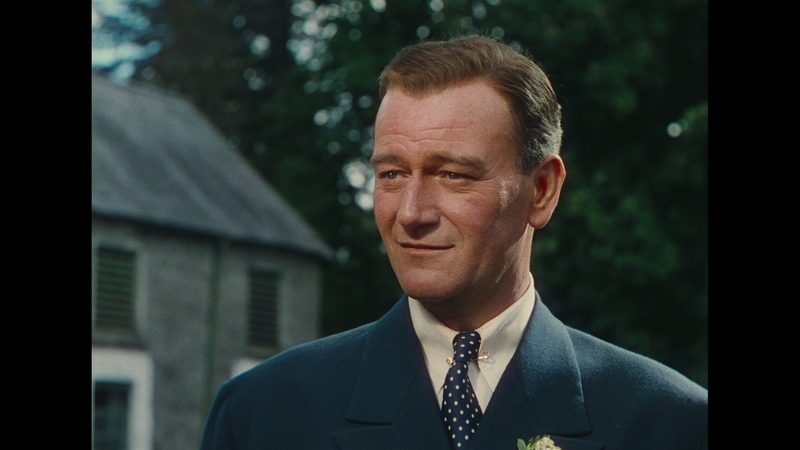 An Irish-American boxer, played by John Wayne, finds love back in his native Ireland in John Ford’s beloved film. The Quiet Man stars the powerful Hollywood screen couple of John Wayne and Maureen O’Hara at their dashing best. 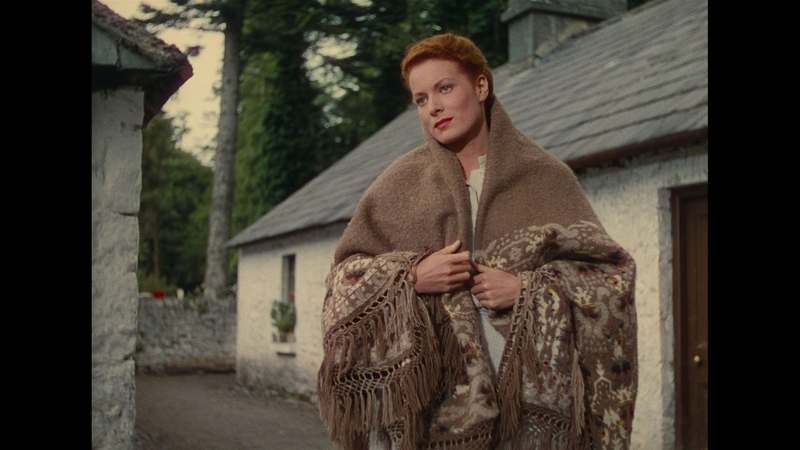 This would be their sweepingly most romantic pairing as the Duke’s American character woos a feisty Irish lass played by Maureen O’Hara. Winner of two Academy Awards and nominated for five more in 1953, it remains an indelible part of Hollywood history. Sean Thornton (John Wayne), a rugged American boxer with a tragic past, returns to the Irish town of Inisfree from his youth. He purchases his childhood home and plans to settle down. 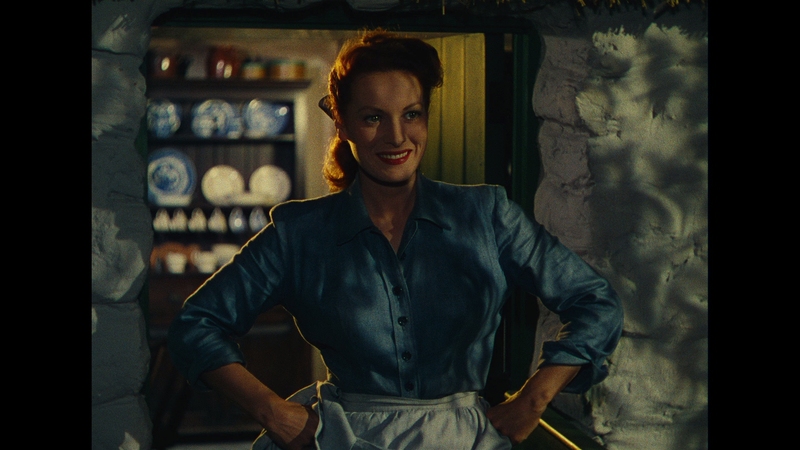 There he falls in love with a fiery local lass, Mary Kate Danaher (Maureen O’Hara). 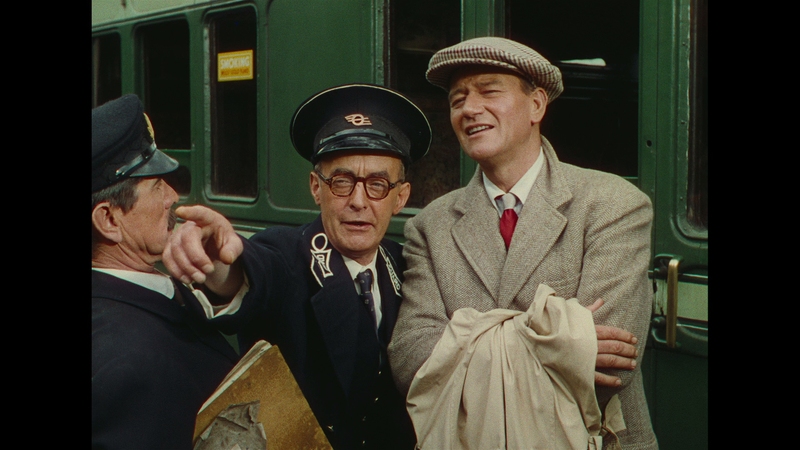 Mary Kate’s insistence that Sean conduct his courtship in strict Irish manner with matchmaker Michaleen Oge Flynn (Barry Fitzgerald) as chaperone is but one obstacle to their future together. The primary obstacle is her brother, Red Danaher (Victor McLaglen), who spitefully refuses to give his consent to their marriage. When Mary Kate accuses Sean of being a coward, he is ready to take matters into his own hands and win her hand in marriage. 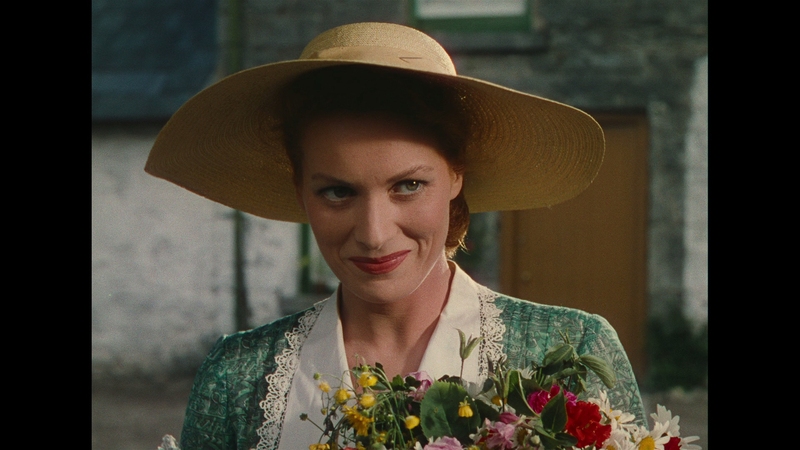 The Quiet Man is one of those classic Hollywood love stories, more spectacle than simple boy-meets-girl plot. 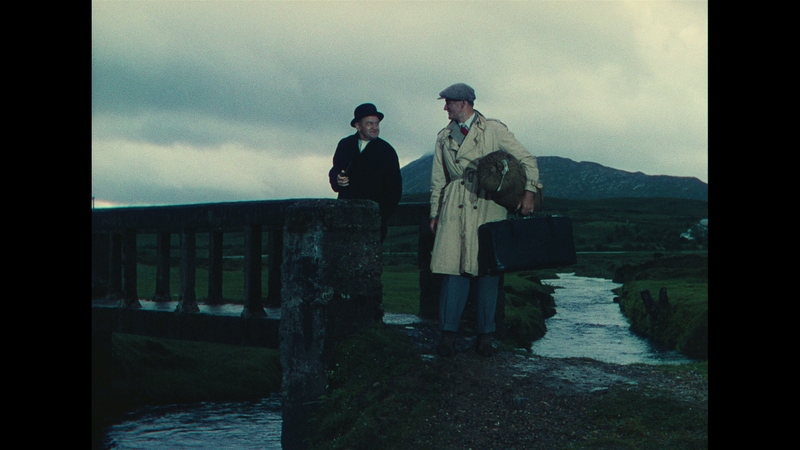 Director John Ford infuses a distinctly Irish sentiment into its sweeping drama and pastoral depiction of Ireland that can still be felt today. It feels out of step with today’s American culture, one in which most Americans of European descent have lost touch with their cultural roots. The strict courting rituals and stereotypical characters come off as mildly dated but still engaging. 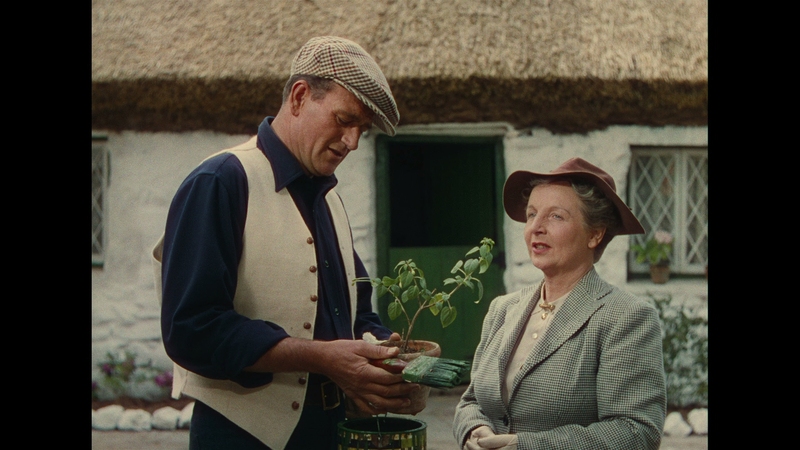 Released in 1952 and predominantly made for Irish-Americans, it would have spoken deeply to viewers that still had relatives living in Ireland. 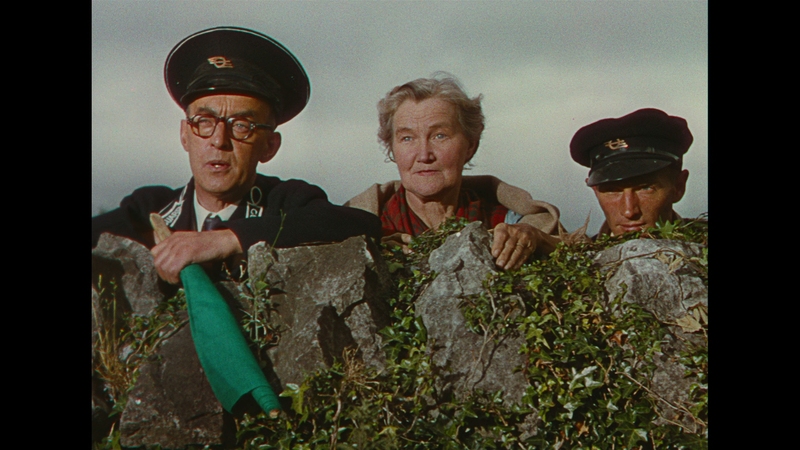 It’s a testament to John Wayne, Maureen O’Hara and Barry Fitzgerald’s subtle comedic delivery that they all give magnetic performances which still resonate today. 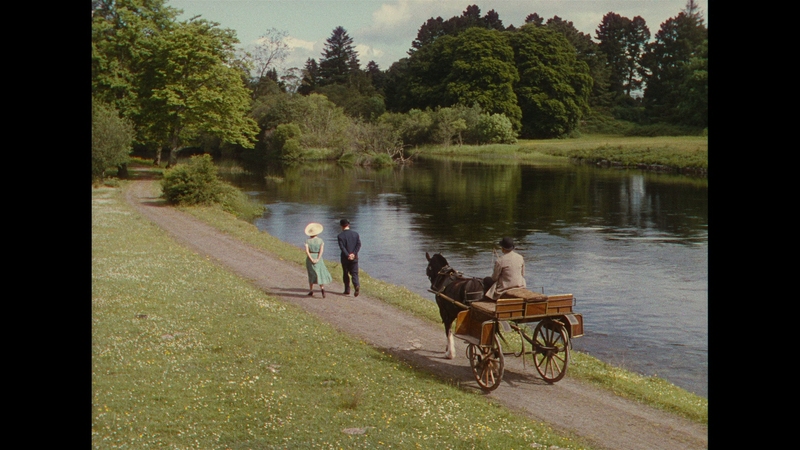 The Quiet Man is an enjoyable love story that offers a romantic vision of Ireland and its community life. 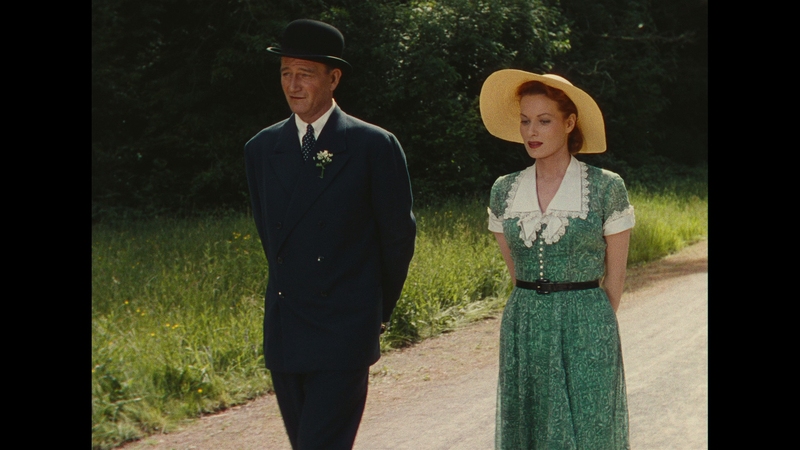 John Wayne and Maureen O’Hara were never better together than in this complicated courtship. This is classic Hollywood filmmaking from a legendary director, still at the height of his powers. A breathtaking 4K scan of the original camera negative turns out wonderful in this new Signature edition from Olive Films. 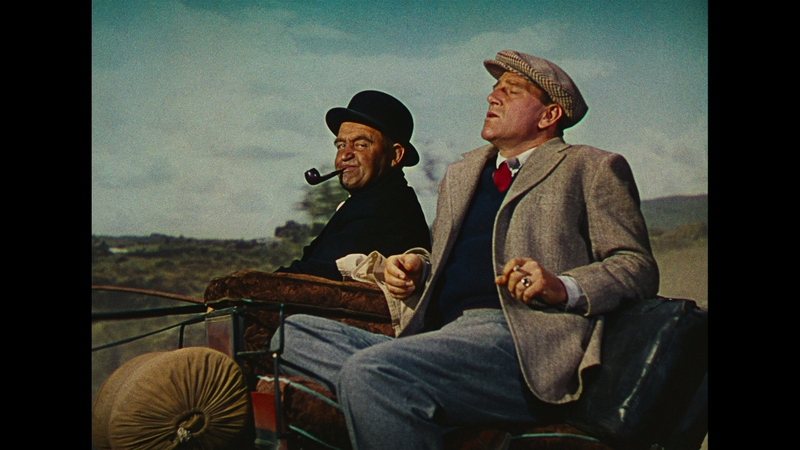 Director John Ford’s romantic film receives an evenly saturated color grading, bringing out the lush greens of its bucolic Irish setting. This is a nigh perfect film transfer that substantially improves on the prior Blu-ray edition’s picture quality from Olive Films. There is better depth and a more faithful film texture, including tremendous new detail. It goes without saying that this new transfer makes the Olive Signature edition the definitive Blu-ray for The Quiet Man. It’s a huge improvement in detail and authentic fidelity. The main feature runs over two hours on a BD-50. Olive Films has given it a perfect AVC video encode at top-notch compression parameters. Licensed from Paramount Pictures, the 1952 Republic Pictures’ production is shown at its native 1.37:1 aspect ratio. The film-like presentation breathes with a vivid palette and excellent contrast. Its black levels are inky without a hint of crushing. The 1080P video is absolutely faithful to the original film elements, which have been carefully restored to pristine condition. This is easily worth buying over again on Blu-ray for videophiles. No one knows when, or even if, Paramount Pictures will ever get around to issuing this film classic on UHD. Vintage catalog doesn’t seem to be a priority for Paramount these days. A clean mono soundtrack is heard in 2.0 DTS-HD MA lossless clarity. The dialogue is rock-solid and robust. The sentimental score by composer Victor Young is delivered in crisp, full fidelity. 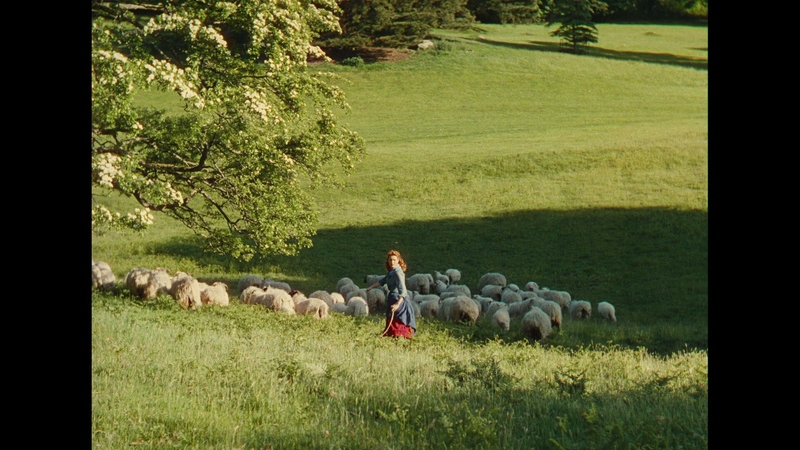 While lacking the dramatic impact of bigger audio elements, The Quiet Man sounds better than ever. The audio has obviously been restored alongside the video. 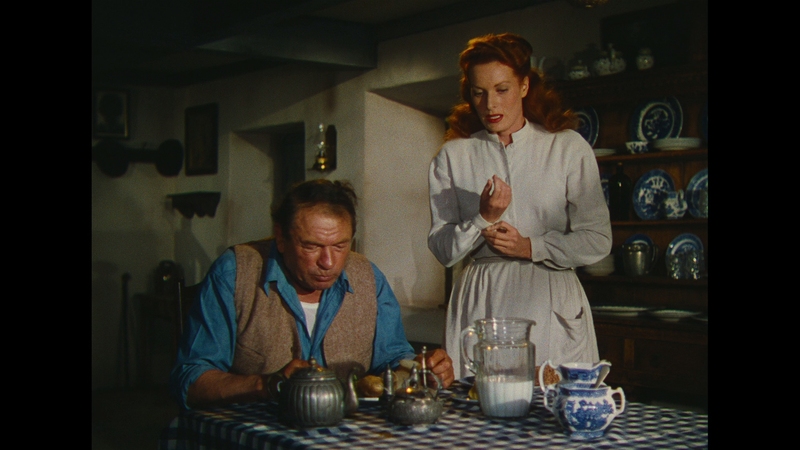 Olive Films originally issued The Quiet Man on Blu-ray a few years ago without special features. This Olive Signature edition boasts a variety of new special features, a commentary and deluxe packaging. A classy 8-page booklet offers pictures and brief written commentary on the movie. It’s a huge improvement in every phase and now the definitive release for this film. Taking a cue from Twilight Time, Olive Films uses clear BD cases for their Signature line. The case is then enclosed in a quality, over-sized slipcase. It’s a handsome presentation that exudes class. Audio commentary with John Ford biographer Joseph McBride – A smart, fairly informative solo commentary that delves into Ford. This is a wide-ranging discussion covering his other work and the general critical reception to the movie. A Tribute to Maureen O’Hara featurette (09:29 in HD) – Actresses Ally Sheedy, Hayley Mills, and Juliet Mills discuss their experiences and memories of the Hollywood icon. Don’t You Remember It, Seánín? 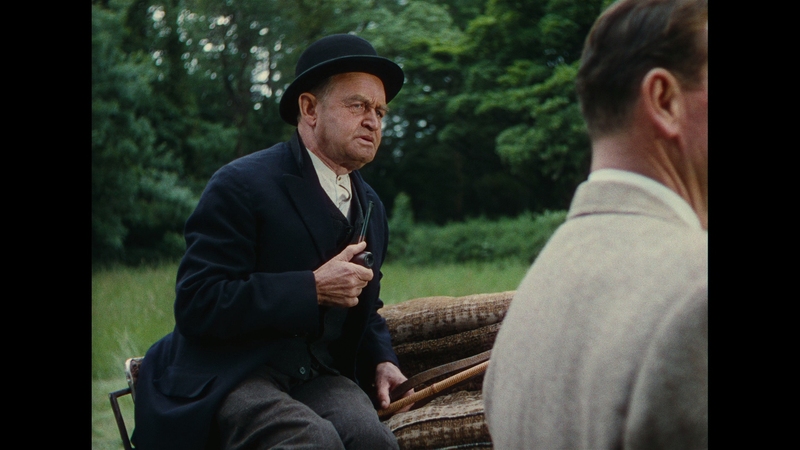 : John Ford’s The Quiet Man (17:20 in HD) – A visual essay by historian and John Ford expert Tag Gallagher. Tag narrates over clips and stills from the film, discussing its themes in depth. Some interesting insights, if a bit academic in nature. Free Republic: The Story of Herbert J. Yates and Republic Pictures featurette (05:22 in HD) – A recap of Republic Pictures and its founder’s history in filmmaking. The Old Man: Peter Bogdanovich Remembers John Ford (12:18 in HD) – Bogdanovich discusses his last meeting with John Ford and more in this nice remembrance of the legendary director. The Making of The Quiet Man (27:49 in SD) – An archival documentary from 1992 with Leonard Maltin. Maltin covers both the film and John Ford’s career in this engaging piece. 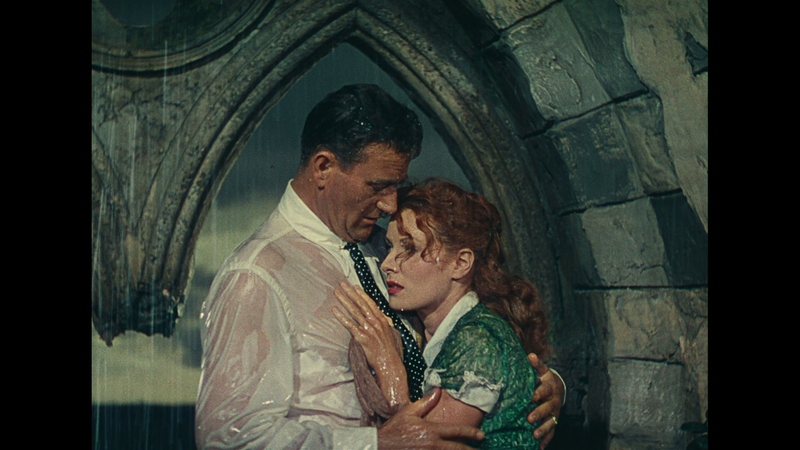 John Ford’s classic Irish love story with John Wayne and Maureen O’Hara still sings today. Click on the images below for full-resolution 1080P screenshots taken directly from the Blu-ray. Images have not been altered during the process. Patreon supporters are able to access these screens early, view them as .pngs, and gain access to 14 Quiet Man exclusives.